Dresses, shoes, headbands. I am a sucker for all 3. Now that I have 2 kids though, I never really thought about how expensive it was to shop for 2 wardrobes. When Ashlynn was born, everyone mostly gave her 0-3 month outfits so I was good to go for the summer months. Now that it's fall, I have nothing to put her in, so I need to start buying everything on my own. Not only do I think headbands complete an outfit and look super cute, but I also think they are a money saver!! I think you can change the way an outfit looks by simply switching the headband. Little Miss Bow and Bands has beautiful headbands start from $5. I like how she has a variety of prices to suit everyone's budget and that you can get them in all sizes. Farah also accepts custom orders as well, so if you needed a headband to match an outfit for a certain occasion she can create something for you. She also carries Top Knot Headbands in an arrange of colours and patterns. What's great about Top Knots is that they are fully adjustable! You can get them in cotton starting at $9 and organic starting at $11. She has sizes from newborn to adult. New to her line up is these ADORABLE 100% genuine leather moccasins!! They are hand crafted and come in many different colours. They are on sale now on her website for $30 (Reg. $35) They come in 4 different sizes- 0-6 months, 6-12, 12-18 and 18-24 months. 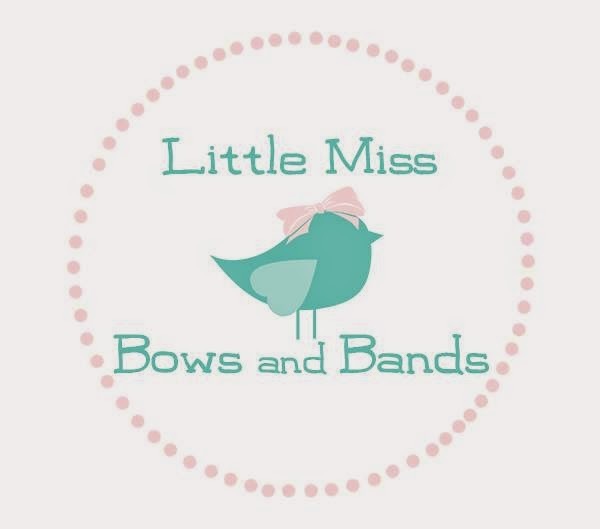 What I love about Little Miss Bows and Bands is that she is local, but if you don't live close by she does offer shipping across North America. She just did a soft launched of her website which you can order items on line so check it out here. More items will be added soon. If you want to like her page on Facebook so you can stay up to date on her new items, sales and promotions click here . Follow her on Instagram too! FTC disclaimer: I was gifted some headbands from this shop, but the opinions are my own and I am not being compensated for this post.